NO PREP! Just print and go! Practice formation 3 ways (each visual cue decreasing in prompt), Trace and Copy numbers on 3-lined lines. 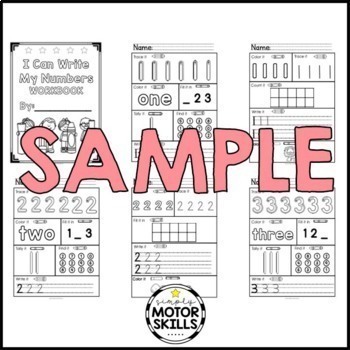 Fill in the Missing Numbers (featuring a number line that includes the specific number being focused on. Color in # of the featured picture. Figure Ground - find and circle the specific number then write in how many did you find. Copy and write the number. 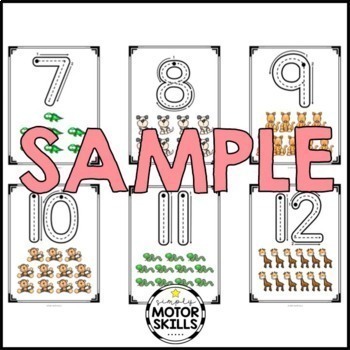 Cut out and glue in the specific number of animals into the given box. Designed to be fun and multi-sensory! 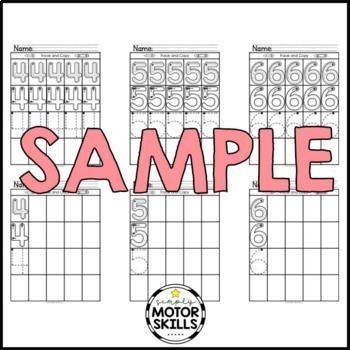 These sensory motor activities help to enhance the visual memory of letters. Easy to understand instructions included so this can be sent home for penmanship practice too. 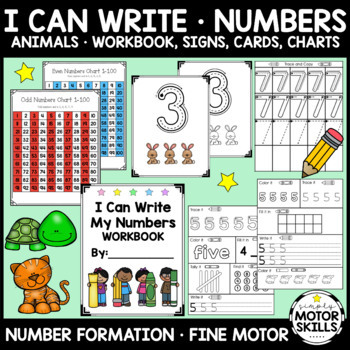 Included: formation guidelines, fun pictures, sight words, simple sentences, formation guidelines, interesting games, variety of content that you won't find with other handwriting worksheets!